Whether or not to hire a design firm is a big decision. It can be tempting to undertake a project on your own without the help of a professional but it’s not always a good idea. For big design projects, hiring an interior design firm has many benefits. While you may have a good idea of what you want and can even picture what it will look like when finished, making that picture a reality is not always as easy as it seems. A professional designer can make the job go much smoother and easier than trying to do it on your own. Some people may hesitate to hire a design firm because they’re concerned their ideas might be overlooked but a good designer will sit down with you and go over your ideas. They’ll discuss what will work and what won’t and explain why something that sounds good in theory won’t look like you expect in reality. They have the experience needed to avoid making common and costly mistakes that can delay your project or end in disappointment. The first step in any design project is assessing your needs. How do you plan to use the space? Who will be using it and what kind of mood do you want to create with your design? These are just a few of the questions professionals ask to help determine what type of furniture you need and where everything should go to be the most efficient and comfortable. 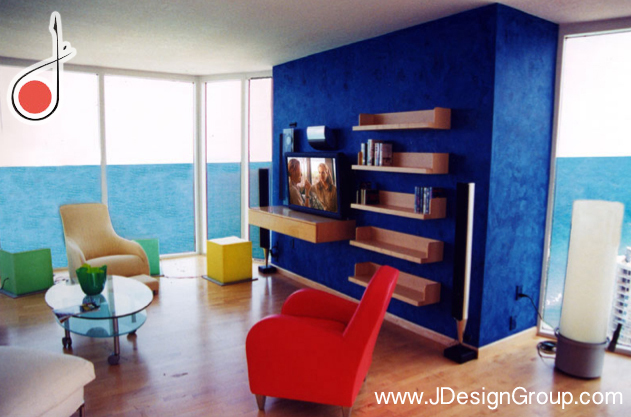 They will work with you on all the design elements needed to complete your project successfully. Interior designers are trained to look at the whole picture and they can spot even the slightest design flaws and make the necessary changes before they become a problem. During the assessment, you’ll go over your ideas and discuss the details of the project to come up with a plan that is fully functional and to your satisfaction. An interior design firm will have the resources to get the job done right. They have connections with suppliers, construction crews, electricians and plumbers needed for major construction or remodeling projects. Having worked with these companies in the past, they already know which one is best suited for your particular needs. They can handle all of the hiring details for you, saving you a lot of time and frustration. Working closely with your contractors throughout the project is necessary to ensure everything goes according to plan and stays on schedule but that can be very time consuming. You have to meet with the supervisors, go over the details and stay in contact with each company throughout the duration of the project. If there’s a problem you’ll need to deal with it immediately but when you hire an interior design firm, they’ll act as liaison between you and the contractors. You’ll only need to stay in contact with the designer or design team assigned to your project, which is much more convenient and less time consuming. They’ll deal with any problems that arise and keep everyone on track so you can relax and go about you normal activities. When you hire a high-end interior designer in Miami, they’ll take care of all the details for you and make sure you’re completely satisfied with the results when the project is finished.